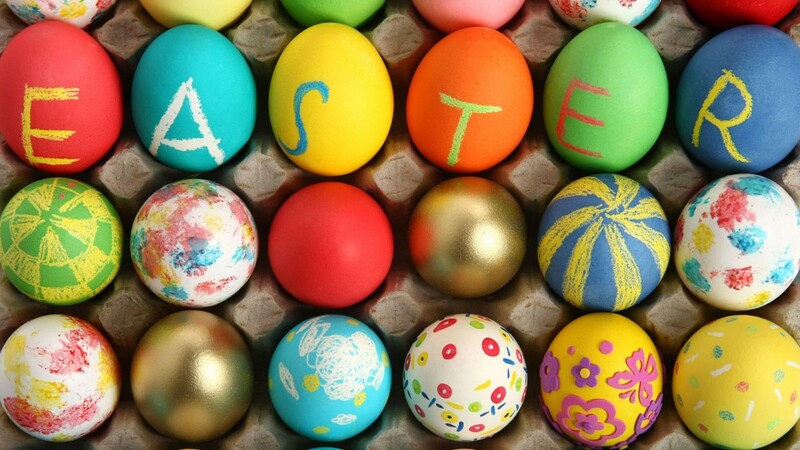 Easter symbols in general have rich and varied origins. The origins of the Easter bunny are no different. 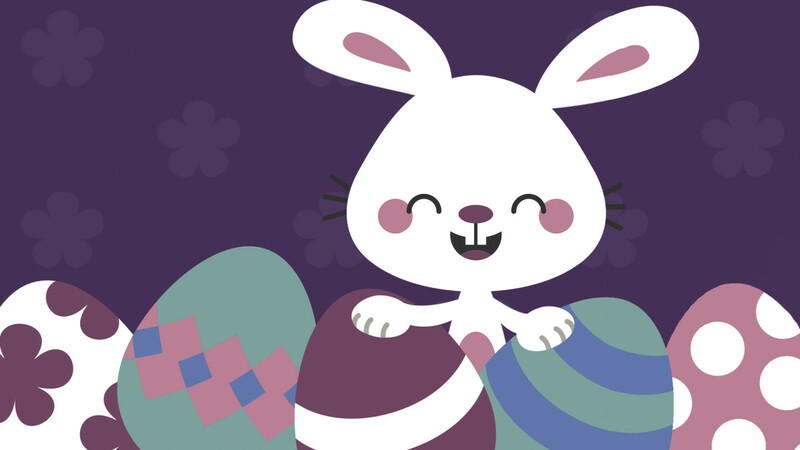 While no one is absolutely certain as to the exact origin of the Easter bunny as a symbol of Easter, one thing is for sure: children all over the world look forward to gifts of candies and chocolate on Easter morning. Before jumping into the stories, it’s helpful to know a little about the rabbit. Their ability to reproduce is unparalleled. The mating season for rabbits lasts about nine months. A litter of kits (baby rabbits) usually ranges in size from 4-12 and because the gestation period is so short – 30 days – a single rabbit could possibly produce enough kits so that by the end of the breeding season, three generations of kits, grand-kits and great-grand-kits could possibly number near 800! In many cultures, this has earned them respect as symbols of fertility. Because of this link to fertility, quite a few cultures around the world have used a rabbit, bunny or hare as a symbol in their springtime celebrations – symbolizing new life and rebirth. Rabbits cannot lay eggs, though. That doesn’t stop legends and stories from popping up that include the bunny laying eggs at least once a year – in various colors of pastel, no less. 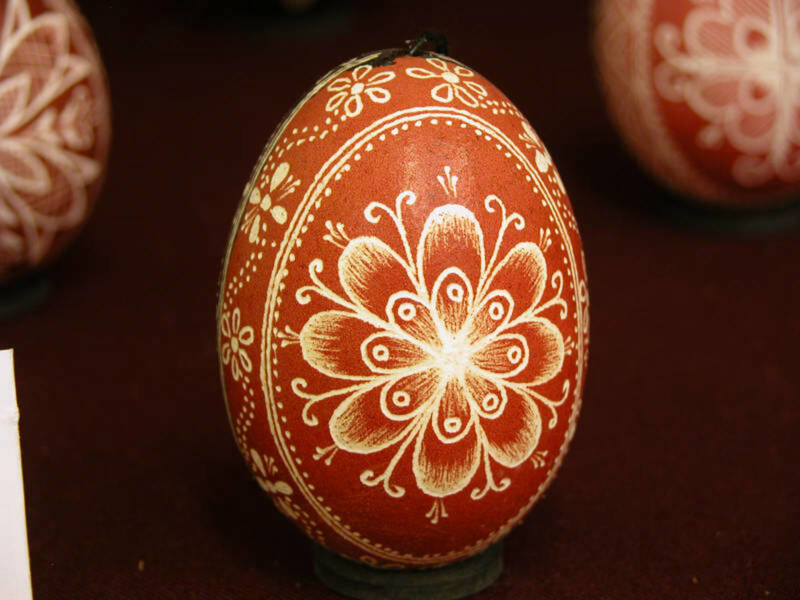 Eggs are another symbol associated with fertility across a number of cultures. The Easter Bunny Has Pagan Origins? 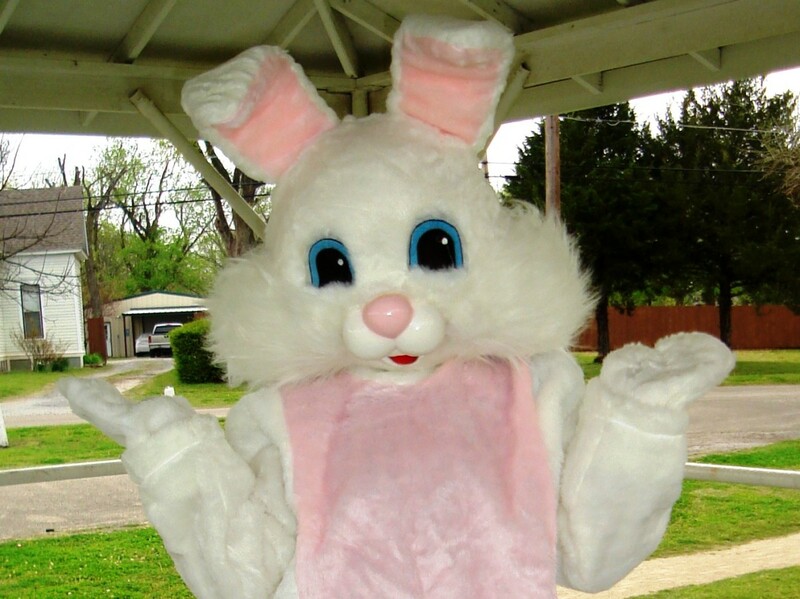 Historians think that the Easter bunny has pagan origins. Legend has it that the ancient goddess Ostara had a white hare as a pet. With her powers, she granted the white hare the ability to run at rapid speed, until he angered her. She threw him up into the sky to live forever next to Orion in the constellation Lepus, or the Hare. After Ostara banished him into the sky, she allowed him to return to the earth to lay eggs in many colors one day per year. Another story includes the Teutonic goddess Eastre – from where we get Easter – and how she uses the rabbit and eggs as her symbols. As early Christians set out to convert pagans to Christianity, they often set holy days to coincide with pagan celebrations to make the transition easier – Easter was no exception. The tradition of the Easter bunny persisted through the ages. Germany started making references to the growing popularity of the Easter hare as early as the 1500s. When German settlers arrived in the colonies in North America, they brought their tradition of the “Oschter Haws” (the Easter hare) with them. It was like Kris Kringle at Christmas, where obedient children would receive gifts. Just as kids would leave out milk and cookies for Santa, they would often leave out carrots for the bunny to munch on as he hopped around leaving eggs for everyone. In the 1700s, children would make “nests” with their bonnets or caps and hide them somewhere in the home, garden or barn. Then, the Easter hare would come and leave colored eggs. 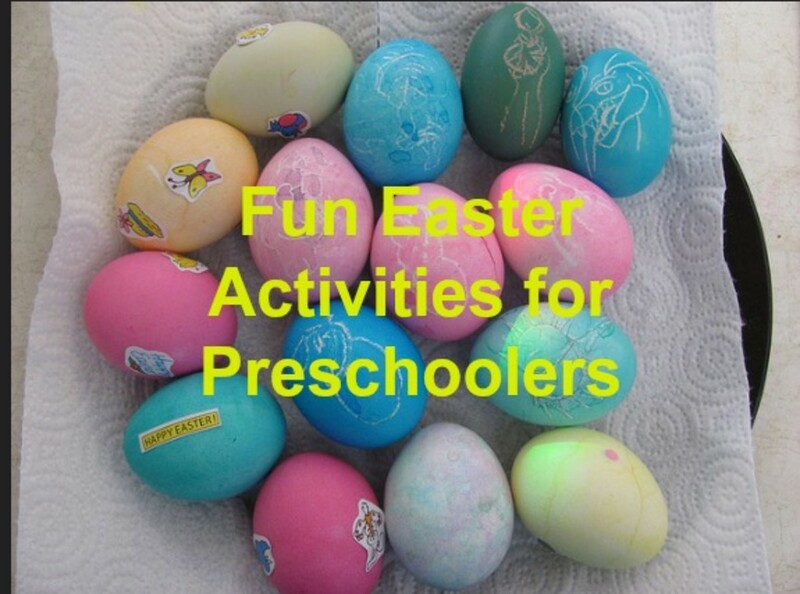 Parents would put spring flowers and leaves to boil with the eggs to get different colors. They often then wrapped the eggs in gold leaf. 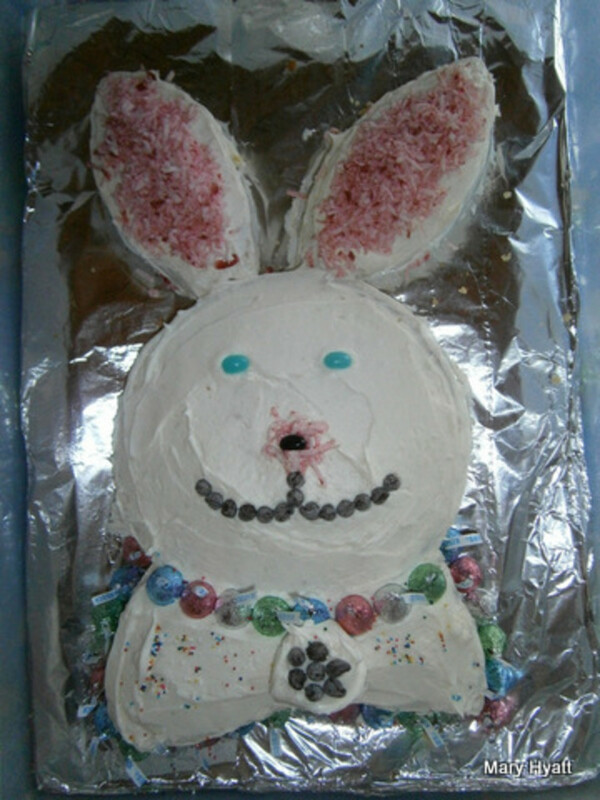 US culture has happily incorporated the Easter bunny into its springtime Easter celebrations. The movie Here Comes Peter Cottontail originally aired on ABC-TV in 1971. 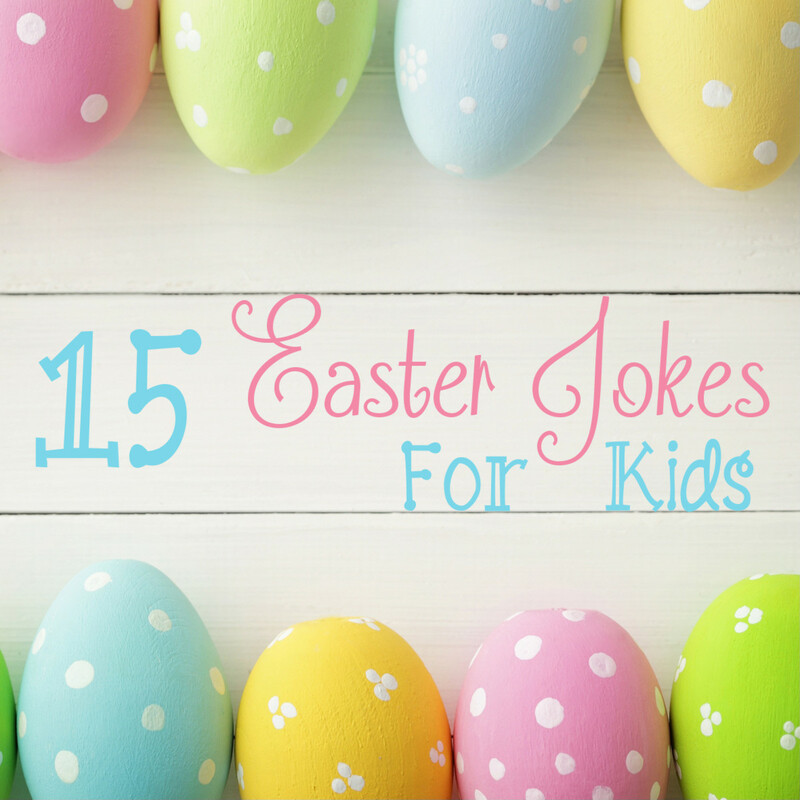 It’s based on the 1957 novel, The Easter Bunny That Overslept. Generations of children have watched the movie and in 2006, a new Peter Cottontail computer-animated movie was released. These traditions, legends and stories have interesting beginnings. They have helped shape cultural traditions. It’s also surprising that so many Christian traditions have pagan roots, mainly because early missionaries would allow pagans to celebrate their holidays at the same time as Christian celebrations. This was all in an effort to slowly win over the masses and convert them to Christianity. Will the Easter Bunny bring you a basket of goodies this year? Easter and its history are such fascinating gems of information. Who's ready to dye eggs? Mperrottet - I didn't either until I decided to research it one day, lol. Thanks for stopping by! Interesting read - never knew about the mythology associated with the bunny. Voted up and interesting. 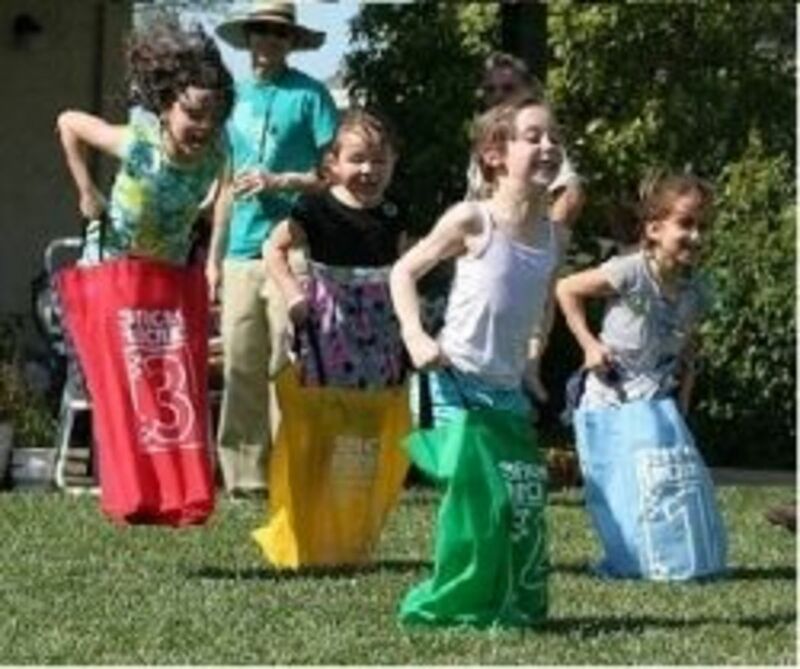 I always wondered how some of the Easter traditions began...usually there's a lot of logic behind holidays but bunnies running around pooping colored eggs on the lawn was a head scratcher for me! Thanks for clearing that mystery up! Thank you Vicki. :) I appreciate it. I love this Hub! I never really stopped to think about why the Easter Bunny delivers goodies for Easter morning although I did assume there was a pagan origin. My little ones will be leaving baby carrots for the happy hopping bunny and looking forward to tiny toys and sweet treats on Easter morning. Good to know, CC! Well done! Sharing! It's good to know that the Easter bunny has a legitimate pedigree. I've always found the notion of the bunny to be pretty bizarre, and I had a hard time selling him to my kids with a straight face. But you've provided a clue to the logistics of how he fills Easter baskets all over the world: it's probably those 800 bunnies working together - a real family business! Thanks for sharing this interesting information about the Easter Bunny. I will know how to answer my boys interesting questions now. Great read! By the way, I have to mention your drawing, I LOVED IT! Too cute. nifwlseirff - Santa movies do seem to be more well known. I guess it's the retailers purporting Christmas or something like that, maybe. Rabbits are big pests in Australia? Hmm...interesting - I had no idea! Thank you so much for your feedback. Have a great day! I haven't seen any Easter bunny movies - Santa ones seem to be more widely known! In Australia, rabbits are extreme pests. There was a move by some chocolate makers to replace the bunny with a native bilby. It still isn't that popular, perhaps due to the Lindt gold bunny's appeal. Great insights there, mattforte. You made me chuckle a bit when you talked about a "breeding population" of rabbits, especially given your amazing hub about the swelling human population. In any case, I'm in the same camp - I love learning about all religions. It's fascinating learning about their histories and what has gotten them all to the present-day for sure. Lots of info, in a quick concise format. I love it. Nicely decorated as well! While I am well educated in the pagan/christian crossovers, I must admit I did not know about Eastre. To find out that the name is even more of a direct correlation than all saints/souls day makes me chuckle. I'm open to all religions, and my particular beliefs allow me to, in a strange way, believe in *all* religions. (Don't ask) But I still can't help but find it hilarious when Christians adamantly deny the well documented origins of their own holidays. I suppose it is a threat to their faith. The breeding thing I also found particularly interesting. The small neighborhood I grew up in had (well, still has) an issue involving a meth lab and some domestic rabbits released into the wild (Don't ask here either), so I've witnessed first hand the amazing ability of these little guys to reproduce. It's interesting to think about cultures revering this as such a great quality. Great history lesson on the Easter Bunny! I thought that the "renewal" along with the fertility was the connection with the bunny. Thanks for sharing your information. K9 - aw, it's so good to see you. Thank you so much for your insightful, valuable comments. I am so glad this "history lesson" was fun. Cheers to you!! Loved the hub. Interesting and informative. The way you have presented hub with colorful decorations in-between is very nice. So many interpretations for a little bunny rabbit!! Cool!!!!! Voted up. 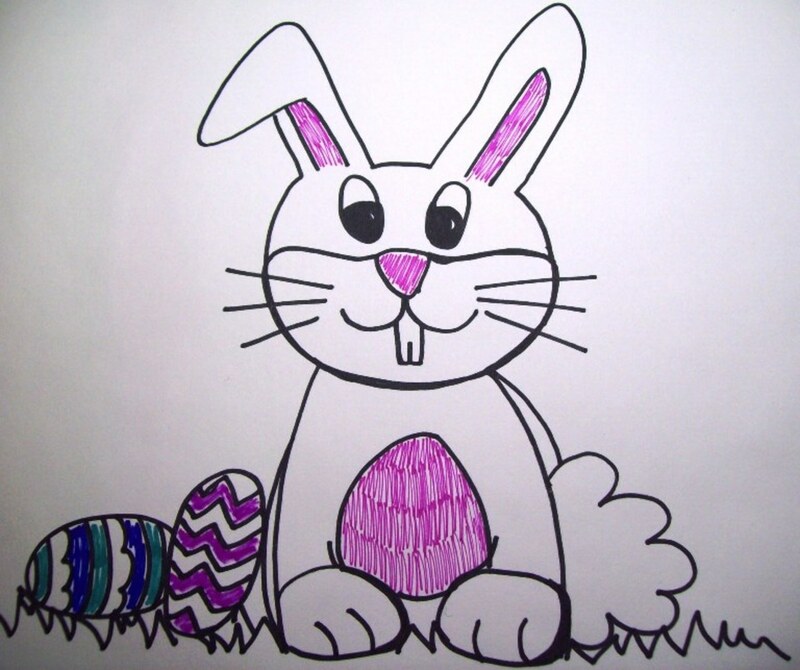 I adore your bunny drawing! The hub is very fun and I learned so much about the Easter bunny himself. You have provided a really fun way learn about history! Great job! Thanks for pointing out the pagan origin of the Easter celebrations. I have never been able to understand why christians on the whole will continue in a practice with pagan origin while professing to live according to biblical teachings. Clearly there is no reference in the bible connecting Jesus death and the Easter bunny, eggs etc. Maybe it comes down to mankinds ability to rationalise as there is much fun to be had by painting eggs etc. As a christian I have read your hub with much interest more convinced that I should continue to celebrate according to scripture only. Teresa - when I was researching this, I had no idea that the Easter bunny had such a rich and varied history. Who knew? savanahl - thank you so much for your feedback. I love these sorts of history lessons. :) Thank you, too for SHARING. It is so interesting to learn how various religions and cultures have taken bits and pieces of each other's legends and woven them into what we celebrate today. Great hub cclitgirl. I learned a lot! What a great piece you wrote. The most entertaining history lesson ever. Thanks for sharing. Thanks for the history lesson on the Easter Bunny. I agree with alocsin, it doesn't have an association with the Christian celebration of Easter; however, I can see where the "new life" is a connection. We never really celebrated with the bunny but had lots of fun coloring eggs. I love the video with song and it brought back good memories. I will have to look up the remade version of the movie. Thaks for sharing. alocsin - I believe Ostara is Anglo-Saxon. There are variations on her name: Eastre/Oestara - and variations on the stories. Thanks for your feedback, alocsin - always great to see you. Thank you for your feedback and for the shares. I love chocolate bunnies, too - even the ears - I don't like the extra-tight buttons on my clothes afterwards. Hehe. There's a lot here that I didn't know about the Easter Bunny, though it makes sense that it's a pagan innovation since it has nothing to do with Christian Easter. But do we know what culture Ostara is from? Voting this Up and Interesting. Every one of the modern religious holidays and celebrations pre-dates Christianity by many centuries. I am making a study of these myself. Oestara/Ostara/ Eastre/Oeastra; there are many variants, just as with the Greek and Roman gods and goddesses with their equivaltents in the other culture; Zeus/Posiedon; Venus/Aphrodite, etc. Fascinating article--voted up, interesting, awesome and shared. I don't believe there is anything wrong with the Easter Bunny or Santa Claus as long as children are taught the real meaning of Easter and Christmas. Thanks for the history lesson. That's right, Greg, hehe. I like your analogy. Hmm...maybe I should try that with my cat. It could be interesting...I wonder if he'll bring me chocolate mice. robie2 - hmmm. You gave me an idea. If I ever find a way to make easter baskets easily, I will have to make a hub about it - or you can! Ha! Thanks so much for your feedback. Audrey - so good to see you! Thank you for the compliments. Hi cclitgirl! Great minds think alike! You have some great info here that I didn't even think of when I wrote my own Easter Bunny hub. If you don't mind, I'd like to link your hub to my own. I appreciate your movie suggestions, as well as the excellent links and references you've provided, too! Voted up! This is one hopping hub! Peter Rabbit and Cupcake would both be impressed with the loads of information about how they came about. I'm going to read this to my bunny tonight for her bedtime story. Awesome! !